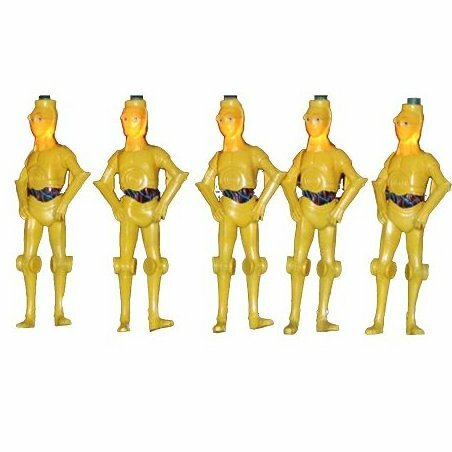 Officially-licensed Star Wars C3PO light set. Total of 10 lights per set. 30-inch lead wire and 12-inch light spacing. Includes 4 spare bulbs and 2 fuses. Perfect for Star Wars fans and collectors.